How much should I pay for tyre fitting and tyre repair in Leicester? It is a fact that the prices for tyre fitting changed a lot in the past few years. Those changes are mostly because of all new regulations and rules regarding road safety. The mechanism of your tyres itself might also be of decisive importance, as mounting and balancing of tyres that are made in 2006, for example, are not as complicates as the ones of fancy tyres made in 2018. There is also a trend in the size that might be noticed lately – the bigger rims the better. However changing those type of tyres is a lot more time-consuming than the regular ones, which also raises the cost of their fitting. Of course, if you make a good and deep research, or at least if you try to be up to date with the latest tyre deals, you can easily find garages that provide high-quality service on competitive prices (not trying to show off, but The Motor Company PPS ltd is such a garage). 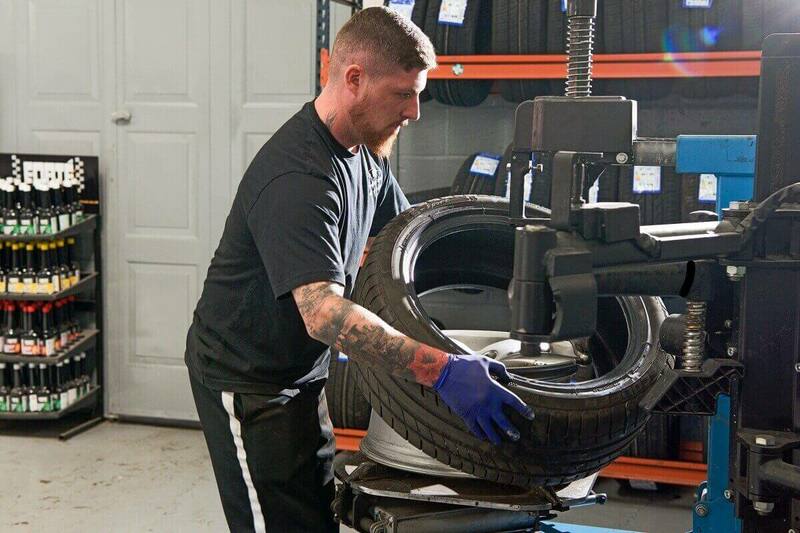 How to find tyre fitters near Leicester? Well, if you just type in on Google “tyre fitters near me” or “tyre fitting near me” you will obviously get a range of different results (one of them should be us – The Motor Company PPS ltd.). Basically, almost every garage should be able to help you change the tyres of your vehicle. However, it is always a good idea to make a bit deeper research in order to get the best service possible. You can also always look for recommendations on the Internet or just ask around your friends and colleagues about their experience with tyre fitting. When choosing a garage, you should always ask them for more information about the services they provide – a good and reliable garage will be more than happy to answer your questions. 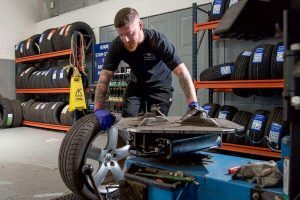 How to find a tyre repair service garages near Leicester? When it comes to tyre repair, you should definitely insist on a good and reliable service. As some tyre fitters work closely with certain tyre shops, you should always choose carefully who to trust. After all, sometimes there is no need of changing all your tyres at once if they can be repaired for just a half of the price or even less. The best and easiest way to choose the right option is by calling us at 0116 287 0792!